Kaboom! Possibly The Best Center Game Ever! 1. It is highly engaging! 2. It lasts for as long as you need it to! 3. It can accommodate nearly ANY content area/targeted skill! 4. It is quick to prep! 5. It costs next to nothing to make! Well, I was happily proved wrong! My teacher friend broke the game down for me, and I was amazed at it’s simplicity and brilliance. Time Line- Which happened first? 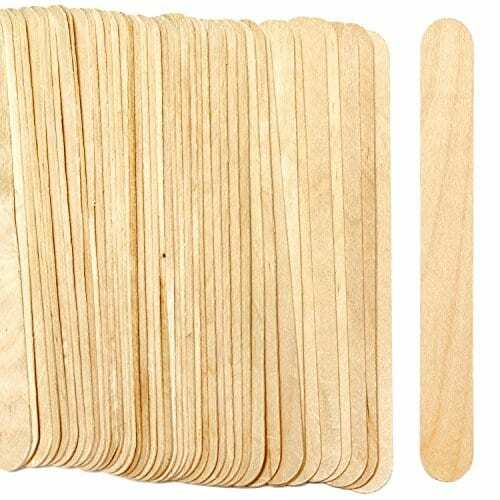 Trust me when I say that I have tried MANY different types of popsicle sticks, and your selection really does make a difference! I thought I was being really clever when I was first starting to use this game in my classroom. 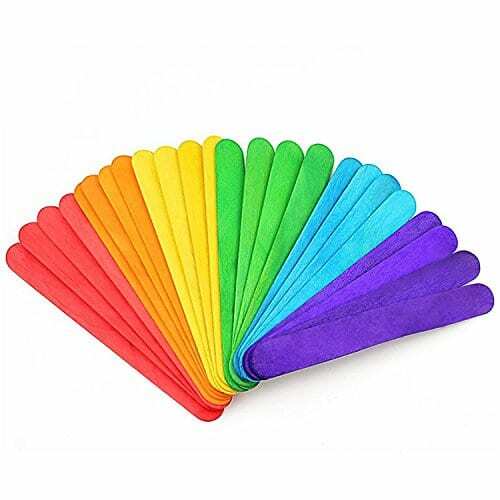 I bought a huge box of popsicle sticks from an arts and crafts store, because they were so much cheaper to buy in bulk! 1. Not all popsicle sticks were straight/flat, which makes it hard when you are trying to attach anything to them. Also, when they aren’t straight it makes it difficult to write words or math sentences! 2. Not all had smooth edges. Can you say splinters?!? 3. The wood is often different shades. 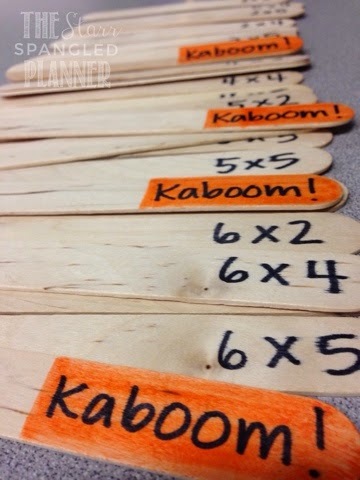 This may not seem like a big deal, but kids are clever and will memorize which popsicle sticks have Kaboom! I prefer to use the wide popsicle sticks, because they make it easier to write legibly, and provide a larger surface area for gluing (i.e. they stick longer!) I personally prefer the Perfect Stix Brand, because they were great quality AND came in bulk (sold in packs of 100, 200, 300, 500, 1000 and 5000!) I actually bought the 1000 set and was surprised how big of a dent I put in it! I also loved using colored craft sticks because it helps give me some natural organization! When I taught Firsties, I loved using Kaboom! to help my kiddos practice short vowel sounds. 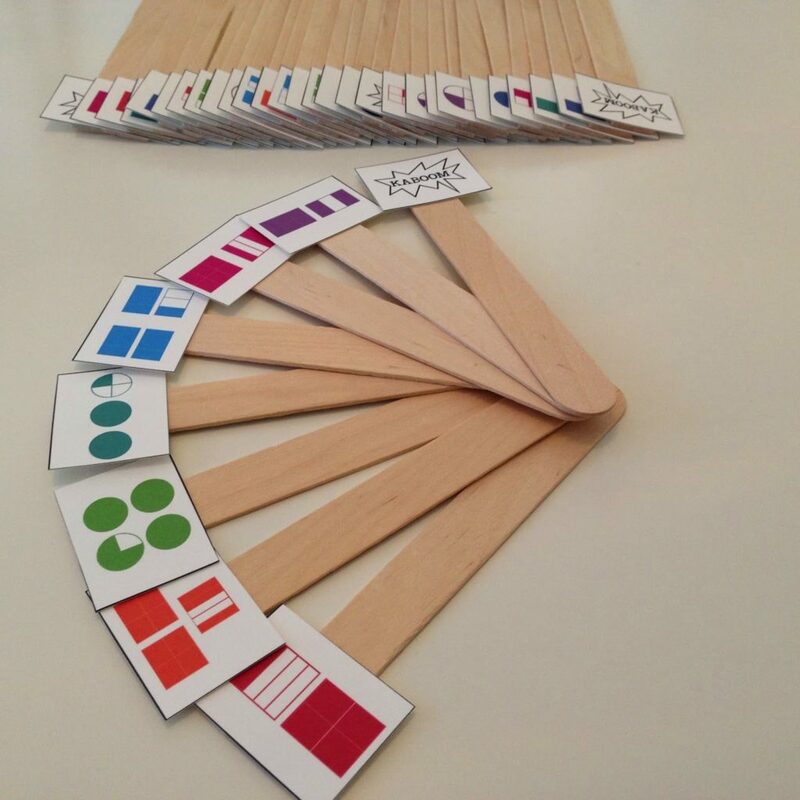 The colored sticks were perfect for keeping the games separated. Having them organized this way meant that my students could independently sort them by color when they were done, and the station was (almost) always clean! 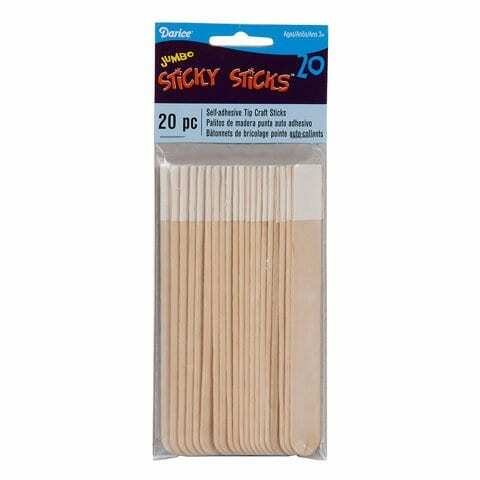 If you are looking to splurge, you can also get these AMAZING Sticky Sticks The fact that they come with adhesive strips already attached makes them the perfect solution to a last minute center! Depending on your content/skill, you need to decide what your best approach will be. For example, when I use Kaboom! to teach coins, it made the most sense to hot glue the actual manipulatives to the sticks to create different collections of coins. However, when I’m looking for fact fluency, I am just going to grab my Sharpie and write different facts on each stick! When I’m looking to incorporate pictures in these games, I break out the cardstock and the color printer. After some quick cutting, I have three possible options: hot glue, double-sided tape, or splurging on the Sticky Sticks (mentioned above). All have worked for me, but I have found the hot glue and Sticky Sticks to be the longest lasting. Storage is a totally a personal preference! Our classrooms are all different layouts, some with cabinets, some with closets, some with shelves, and some with no walls at all! The method that works best for me in my current classroom are Crystal Light containers. 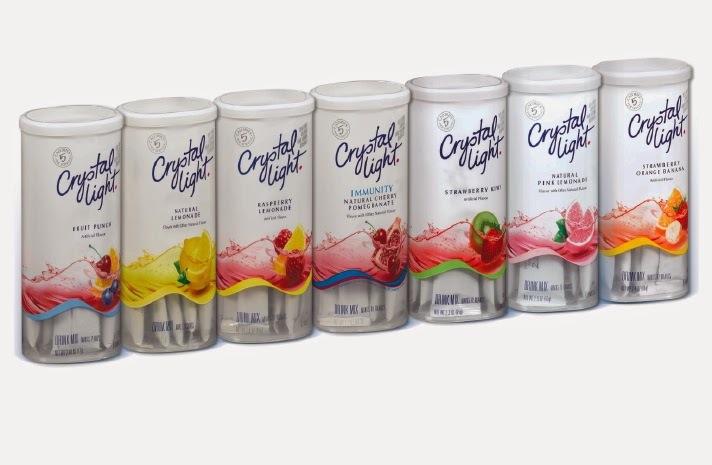 I don’t drink Crystal Light, but my friends and family members know that I can always find a use for them (kind of like toilet paper rolls). They drop them off to me in bulk, and they never go to waste. I put a piece of colored construction paper or cardstock in the container so that students cannot see the sticks (and cheat!). Then, add a simple label on the front for easy identification and voila! 1. First student pulls out a popsicle stick. 2. The student identifies the “answer” or “correct response.” If their answer is correct (determined by either a reference sheet or their peers) they get to keep the popsicle stick. If they answer it incorrectly, the stick must go back in the cup. 3. The students continue around the circle, selecting one popsicle stick at a time and answering their question. 5. The game NEVER ENDS because eventually someone will get a Kaboom! and their popsicle sticks will go back into the cup to keep the game going. 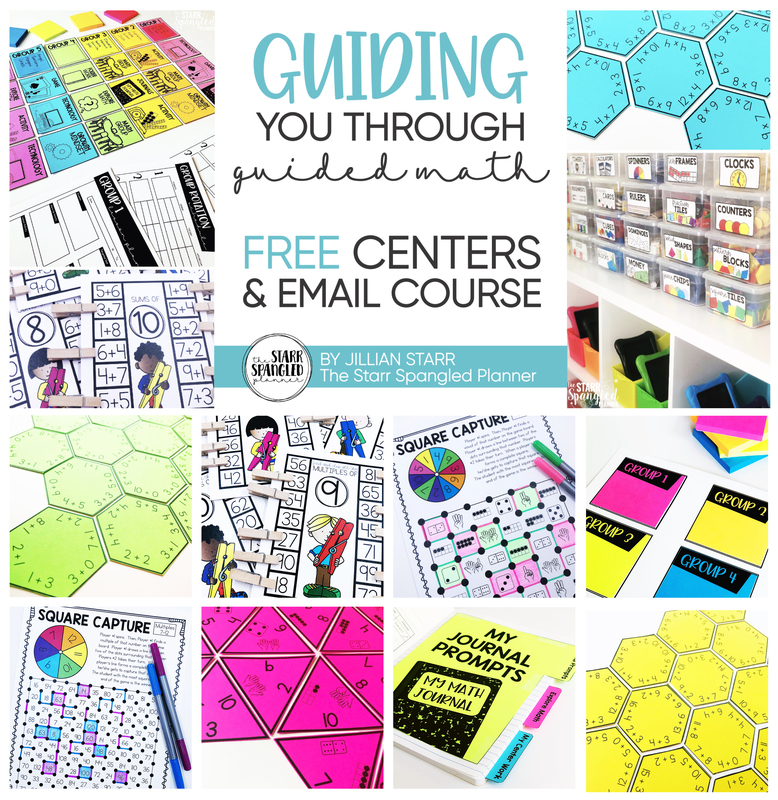 I hope you and your kiddos enjoy this center, and you find it as versatile and simple as I have! Have fun and thanks for stopping by! Hi Christina! Thank you for always being such a wonderful support 🙂 You always make my day! I can not wait to use this with my 4th Graders to help them with Multiplication Fluency! I have a ton of Pringles cans from another project that will serve as my storage for them! Thanks for sharing your great idea! I like this idea….thinking of other ways to use it!! Thanks for sharing! Oh I'm so glad to hear it, Brenda! If you think of any other ideas, please let me know! Love this! How many sticks do you typically use per set? How many kabooms? Hi Michael! Great question! I usually do about 35 sticks per set (30 regular and 5 Kaboom!) Thank you for stopping by! Hi Christina! I usually do about 35 sticks per set (30 regular and 5 Kaboom!) I'm so glad you stopped by! 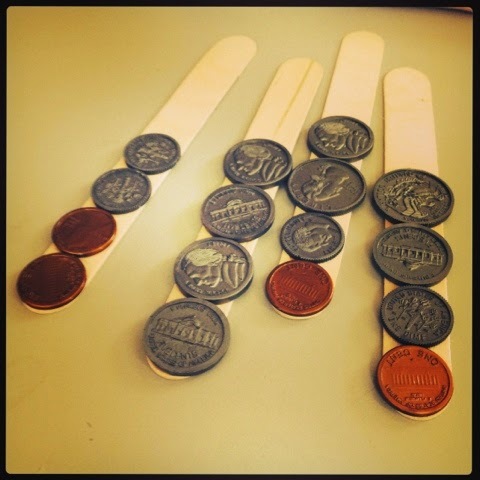 Thanks for sharing…another engaging activity for my kids. How many kabooms would you have per set? Seems like popular question 🙂 I usually do about 35 sticks per set (30 regular and 5 Kaboom!) I hope that helps and you and our kiddos enjoy it! You're so very welcome, Jackie! I hope your kiddos love it as much as mine do! Question – How many sticks do you generally include in the game (total)? ALSO how many Kaboom sticks would be in the game?? I just saw all of your previous answer. How many kids play at a time? 🙂 I usually have anywhere from 2-6 students play. Years that I have a rowdier group, I like to limit it to 3-4 student. That way, the wait isn't as long, and they are able to keep their focus. I hope you and your kiddos enjoy it! LOVE this!!!! I have played this type of game in several different grades. You gave me some great new ideas for me to try out! THANK YOU so much!!!! Oh yay! You are very welcome, Kriss! I'm so glad you stopped by and found some new ideas! You are so welcome Jenny! 🙂 Thanks for stopping by! Great idea! Thanks for sharing! How do you use colored ones assigned to different short vowel sounds? Hi Debbie! I keep them color coded sticks for different short vowels (e.g. Short A is Red and Short E is orange.) When we play, we can either use ONLY the red sticks and focus on Short A, or we can mix them together and have students close their eyes as they pick. The color coding just makes it SO much easier for clean-up purposes! Love this can’t wait to do it! How do you play this exactly with vowel sounds? What is written on each colored stick and what do the students say once the stick is pulled? I love the idea. I've got third graders working on their multiplications facts. They are going to love this game. I had already been using these sticks with students' names for my random call cup. Thanks for giving me a new way to use them. Sounds like you are ready to go!! I hope you and your kiddos enjoy it as much as mine do! Where do you write the answers for the multiplication facts? How do they know if their answer is right or wrong? As a SLP in the schools I use this quite a bit for phonemic awareness, language, vocab, etc. My question is do you have a way to deal with those students who have their own Kaboom when they pull that stick? Hi there Speech Gal! It takes a lot of previewing for some kiddos. I often try and put a small signifier on one of the Kaboom sticks so I can be Kaboomed first, let us all giggle at it, and then move on. I still have a kiddo every once in a while get upset, but the reminder that "We all get Kaboomed" and that the game doesn't end usually does the trick. Love this idea! Will be trying it with my preschoolers. 🙂 I'm so happy you stopped by Jayne! Do just write on them or do you have premise words that size we can print and glue? I teach 1st and have some that need K sight words still. Woohoo! Always happy to help find a use for those silly things we hoard! I hope you and your kiddos love it! You are so very welcome Merve! I love this idea! Do you have examples of how the sticks look for different areas in math and reading such as perimeter/area and text features or genres? I can't wait to use this! Thank you! Other than the ones I have included above, I don't have direct examples to share just yet (my classroom is still packed up from the summer!) I'm happy to share them with you when I unpack! Thanks for sharing and for the supply details. I think I will create a skill review for my HS math students to do on the first day in their 4-person pods! Ooooh! What a great idea! I truly believe that this game can be applied to ALL grade levels 🙂 Please let me know how it goes! I just got moved from 2nd to 4th grade Reading/Language Arts this year. Any suggestions on using it for this grade level and subjects? Your help would be greatly appreciated! I am switching grade levels this year as well (3rd time in 3 years). I like to look at the content specific skills that I am required to teach in each area, and make a list. This really helps me in creating meaningful games that will help students practice and reinforce those skills. I hope this helps! I was wondering if you write the answers on the back of the sticks? Hi Tara! I don't, because you never know which way the students will pull up the stick (they could end up looking at the answer before seeing the question). However, I often accompany my Kaboom games with a recording sheet so that I can "keep tabs" on their learning and understanding. I just found this great idea of yours! But, if these are meant for centers and the teacher is not there, who decides if the student is correct and gets to keep the stick? How do you use the recording sheets, if that is how you do it? Great idea, how do you use them with short a/ short e etc? Is there a picture and students have to spell it? Or do they have to choose between 2 words as to which has the short a? I love this idea and would love to use it this week. How do you incorporate the reference sheet so the students know they are right? I have 5th grade so I don't want them to just look off the sheet for the answers. Just wondering how you did it! I love this idea! I can't wait to use it! Would one person be designated the "reference sheet keeper"? I love this! I am going to use it in music class! I wish I could hug you! I am a new teacher, teaching a 2-4th grade split. The only way I know to teach this kind of mix is through centers. I've been researching centers and this is one of the best ones I've come across. Thank you for sharing. Thanks! Will for sure use this with my Grade 3ers!! 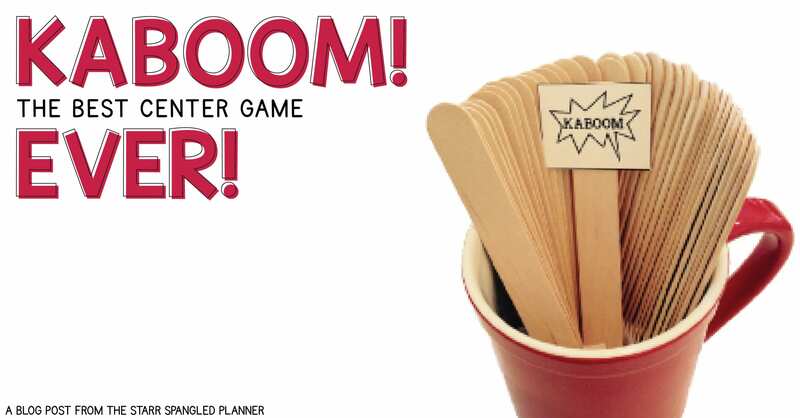 Hi Jillian Thanks for posting Kaboom game oriented educational activity. I am an International language teacher and always looking for interesting ways to teach kids language. I am planning to use it for sight words for my Grade 2 Language class. I’m an SLP in the schools and am always looking for fun activities for my older students (especially for the dreaded “r” sound!) I can’t wait to make this! Thanks so much! I LOVE this idea!! Thank you. Great way to review and keep students engaged. My 2nd graders are going to love this!! Best idea I’ve gotten from Pinterest ever!! Love this!! I was looking for something different for upper elementary (5th grade). I will definitely incorporate this in my classroom. Great idea! I’m teaching 6th (intensive) & 7th grade (advanced) reading for the first time. How could I use this at this level for things like text structure, context clues, connotation, etc. Thanks in advance for any and all suggestions! 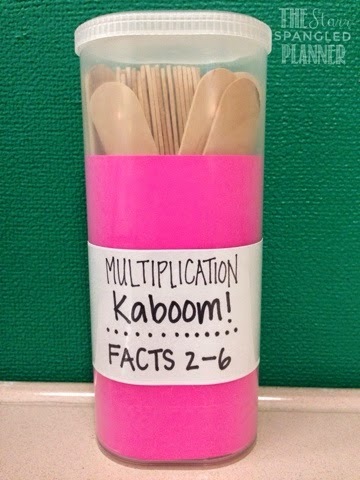 Do you have a template for your fraction kaboom? Hello! Do you have a file of the mixed number fractions for the game?? I am confused- If the answer is on the sticks, where is the question? Hi where did you get those mini fraction cards from? Thanks so much. I’m an AP teacher and I’m going to figure out a way to use this with content! My summer goal. I am a retired kindergarten teacher and am now babysitting my two, two-year old grandchildren. I love this idea! I think they will have a grand time with this concept. Both girls recognize about a third of the alphabet, and while they can count to 10, and count one-to-one correspondence up to five, number recognition is sporadic. I’ll be interested in seeing if the ka-boom part may be the most exciting part rather than collecting the correct sticks. I’m looking to find more hands on activities with lots of physical movement. Thanks for sharing your ideas! This is a great idea! I’m going to use this with my high school students in Spanish to mix things up a bit. Thanks! Any idea on how to relate this to learning personal information for special education??? I absolutely love this idea! I especially appreciate the game directions. I already use popsicle sticks in different ways but I am always in the market for new ideas, so THANK YOU! This could be used to learn a foreign language or help students in a classroom with multiple languages to communicate better. The answer sheet could have pictures/words corresponding so either pics or vocab on sticks. Math: pattern recognition…shapes or colors using a sharpie or small pics…what comes next or what is missing? I’m not a teacher but this is a great concept for prepping for a test. My daughter and her bestie ate always doing homework together but studying is harder and longer than regular homework. Thanks for the tip! Can’t wait to incorporate it for my 12yo as she prepares to start 7th grade next month. very nice game and article. I have a question about the rules. How the game will over? Hi do you have the fraction cards available? Do you have copies of the fraction tops that are in the diagram or a source of where i can get it? This idea is awesome! I am a first year teacher and I am really looking for ways for my second graders to have fun while they are learning. Thank you so much and I look forward to more ideas from you. I am a second-year teacher and on of my first-year colleagues told me about this game. I hadn’t even considered it to be something I could find online, so i just made them myself. I love how organized your page is, I figured I might as well contribute my idea to the comment pool. I added in some other sticks besides “KABOOM!”. I added in “DOUBLE”, “TRIPLE”, and I have used “TAKE ANOTHER STICK and subtract ____” before completing the problem. I also provide typed instructions for the students, so that they know what operations to perform when using the KABOOM set that I made for any operation (they just have one number written on them). I made a wonderful little place value set where I used two different colors to write the numbers. Blue numbers were intended to be the number that they would name its place value or value, but I also ended up changing the directions so that the blue numbers were also the place value to which they rounded a number during our rounding centers. KABOOM is so versatile! Love it. I love the Crystal Light containers idea for storage. They are way more durable than the SOLO Cups and baggies I’ve been using and they double as cups! Great idea! Thanks! Hi…How can I use these with say, suffixes/prefixes? What would go on the actual popsicle sticks? Thank you! This looks wonderful and so flexible. I was just wondering how well it works when you stick a picture on the stick and then need to pull it out, does it ever jam or the pictures tend to fall off? This is the best game ever!!! My fifth graders LOVE it! I made it this year for the first time and I need to make more…..They all want to play all the time! How would you recommend using this with vocabulary words? I know for defining them, but what about when all of the words aren’t being checked for meaning? I love this game and my students love until the vice principal decided it was negative and made a “suggestion” to have them pick again if they go Kaboom! We do not play as often anymore because the kids think it is not fun! I love this idea, but am a first year teacher of third grade and I am trying to build ELA Centers. How do you use them for ELA? I am struggling with how to do that. Afraid I didn’t read all the questions, so apologies if this has been asked: Does the Kaboom stick go back in the container or stay out? Hi! Will use this game in my 6-8 basic skills classroom for Morpheme Study. Students have such a hard time remembering what prefixes mean and how suffixes change words. Since recall is the number one step toward using the morpheme strategy to analyze unfamiliar words, this game will allow for plenty of non-boring practice. Thanks! I have a mixture of what Americans would call ‘kindergartners’ and ‘first graders’, 27 of them to be exact and often don’t have a teacher’s aide to help. What I wonder is (especially if my groups are leveled) how you teach your youngest to sort out their arguments about if someone is right or not independently without bothering you when you’re with another group? For example I have one group who have about 2 alphabet sounds each and no sight words. Many of my groups have slightly different levels so some MAY know the answer but I know they will get into debates about who’s right or not. Help?? How do the students know if they got the right answer? How would this work for place value? I truly don’t recall! I know there is a lot of fraction clip art on Teachers Pay Teachers, and I likely used a set from there!